The Longido is about 90 kilometers north of Arusha Town. It is one of the places to visit and see Wa-Masai and other tribes like Wa-Arusha. Visitors have a chance to see cattle being auctioned in the market and how local people (Masai and Wa-Arusha) conduct that business traditionally. 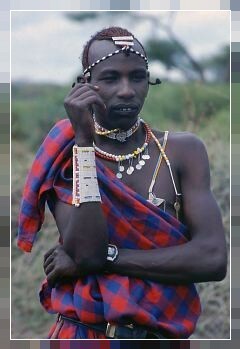 the Masai are benefiting from 'green' tourism by organizing tours of the mountains and plains near their community. The tour guides fill visitors with fascinating information about history, culture, and the natural world. And visitors get to enjoy a traditional meal prepared by Masai women. A portion of the tour fees go into a village fund that finances local development projects. Longido offers a guided tour hiking to Kimokouwa, along with Maasai cattle trail, that winds over the slopes to the summit of Longido mountain. There is a chance of viewing wildlife such as the elephant and buffalo. It is also famous for camel-back safari, which can be arranged as an optional in your safari package. the tour can take half a day to a week, depending on your wishes. The safari takes you through the plains that are home to different species of birds; mountains around the area (Longido and Ol Doinyo Lendaree) with beautiful terrain that allows hiking to take place. Depending on a person's physiology, hiking can be done just for one day to the top. Once at the top you have a good view of mount Meru and Kilimanjaro Mountain as well as Maasai plain in Kenyan Side on a clear day. Get a Chance to see and learn a little more about the pride of Masai Pastoralists in Tanzania.